Rock music has always relied on independent labels to capture vibrant underground scenes that the big brutes don't deem worth their financial time. Bo White has been doing that for a slice of Charlotte's underground scene since 2004, when as a 23-year-old musician, he began Kinnikinnik Records, a limited-release label and promotions vehicle that put Charlotte indie rock back on the map. Named after a road sign he saw in Alaska as a fifth grader, and originally an outlet for White's own four-track recordings, Kinnikinnik featured releases by friends and bands he liked. Seven years on, the label's catalog — which includes everything from homemade CD-Rs and cassette-splits to 7-inch and full-length vinyl — will soon reach its 40th release. White often records friends and even out-of-town bands for free, so money isn't the point. "My personal style is that I just like to find out about things, and that's not very good from a making-money viewpoint," the 30-year-old concedes when discussing his allergy to self-promotion. Kinnikinnik's first filter is White's enjoyment. "I'd like to actually be really into everything I release," he says. 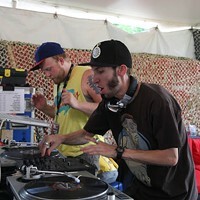 The roster includes projects that White, a prolific guitarist and multi-instrumentalist, has been a member of: Duo Select, Area Man with Ax, Bo White's Laser Orkestra, Calabi Yau, Black Congo NC, and Yardwork (whose 2009 EP remains the label's best-selling release). Other acts reflect the eclecticism echoed in White's own work, from free-music mavens Great Architect and Moenda to the garage-flavored indie rock of Coma League, the thrash of Grids, and Bob Fields' ambient-noise doodles. 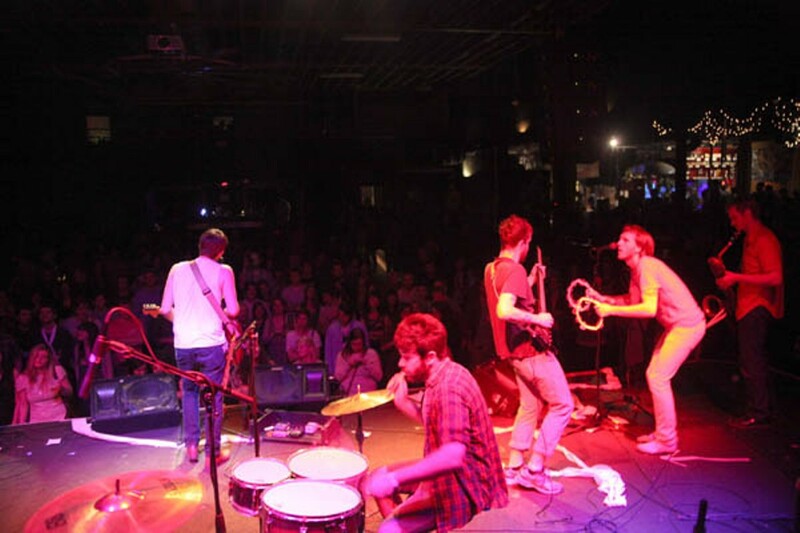 In summer 2007 Eric Deines, a former intern at the adventurous Secretly Canadian label (and White's bandmate in the Afro-beat-influenced Black Congo NC), joined White, and the label's profile began spreading beyond Charlotte. 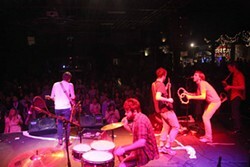 With White booking shows at various venues and holding his own house shows, Kinnikinnik's name was soon on the lips of nationally known touring acts such as Titus Andronicus, Vivian Girls, Marnie Stern, Nat Baldwin of Dirty Projectors, Columbia, S.C.'s Toro Y Moi, Phosphorescent and The Ruby Suns. "Eric came up with the 'Kinnikinnik Presents' tag to just stick on events," White says. "Then all of a sudden, it was in everybody's face constantly and we had a barrage of events." With the increased profile came new issues, predominantly getting records out in a timely fashion and charges of exclusivity. "The second you start to throw up a fence around a collective, and saying 'this person's in, this one is out,' you start leaving people out," he adds. White might wish it otherwise, but it's enough just to document moments in the Charlotte and regional scenes. He's convinced Kinnikinnik's best recordings are still ahead. They include a new Moenda full-length on vinyl; a split cassette of Black Congo NC leftovers, remixed by Secretly Canadian's Richard Swift and backed with unreleased songs from Sam Buck Rosen and Lake's Eli Moore; and another release from White's own orchestral ensemble. He may be hesitant to pat himself on the back for all this, but others aren't. "Amateurism is a noble trait," says Deines. "It's unfiltered enthusiasm for art, the good kind of ambition. Bo made me feel comfortable in these pursuits. He's become a documentarian of a scene that, unbeknownst to the rest of the world, is most deserved of documentation."